Building up the momentum towards the Rider’s Music Festival scheduled for 18th - 19th February in Jawaharlal Nehru Stadium and celebrating India’s rich cultural diversity on the sidelines of Republic Day, a pre – Republic Day bike parade was organized with Delhi’s popular biking group- Royal Mavericks. The bike parade took place on January 15, 2017, at 7 am from Bharat Petroleum Pump Shanti Path, New Delhi leading to Mother Cresent Marg the rally rode past the Dandi March Statue and went towards Dhaula Kuan, NH8 with the culmination in HKV for breakfast. The bike parade witnessed over 100 bikers participating including several women bikers promoting gender equality and celebrating the essence of unity and biking brotherhood. The parade aimed to encourage bikers across the country to live the biking individuality and revive the spirit of patriotism while promoting sensible - safe riding. Riders Music Festival emerges from the fusion of elements that give joy to the heart. The celebration of the spirit of bikes, music and brotherhood. It's a festival that represents freedom, breaking of the shackles and living life to the fullest. 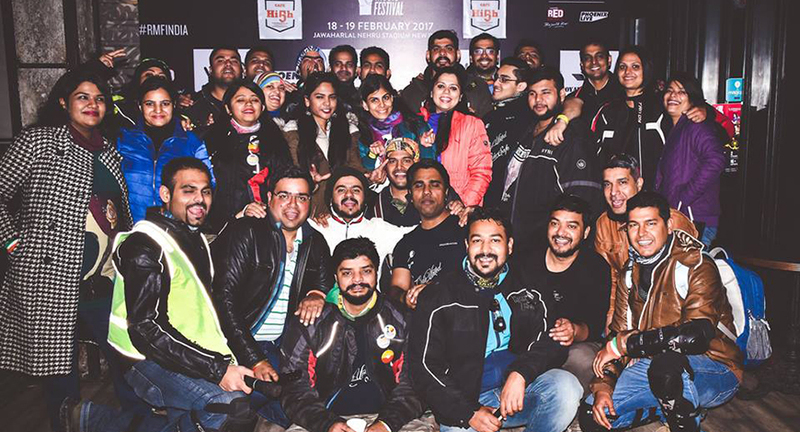 Its USP is the fact that every biker can now celebrate their passion with their family and friends as RMF has something for everyone; bikers will engage with fellow riders and celebrate a perfect weekend with family involving a lot of fun events, games, adventure sports and amazing food. This fest will bring together some of the biggest musical and comedy stars like Amit Trivedi, Lucky Ali, Hari-Sukhmani, Kanan Gill and more.